John the crazy man came out of the wild places with fire in his eyes and a brilliance about him that came from the burning passion in his spirit that overflowed until it filled all the atmosphere around him. His wiry, sun darkened body was covered in camel hide and he ate ~ really ~ crunchy locusts and sticky sweet wild honey. 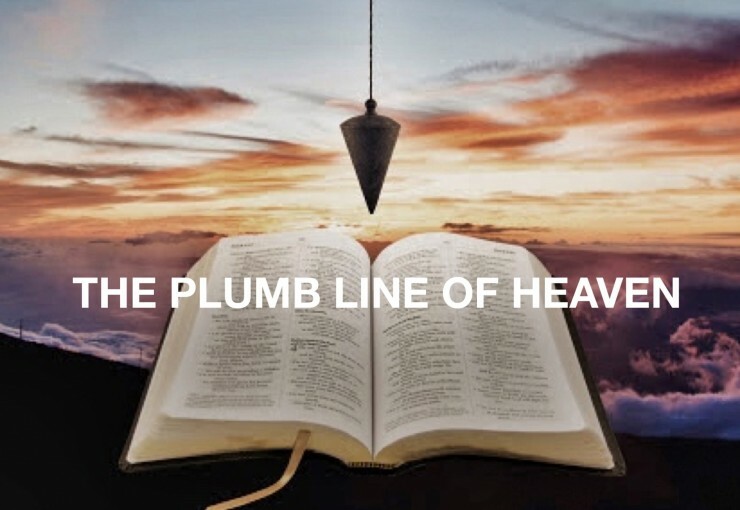 His words bore a weight that caused everyone to take note until they could no longer measure themselves by any other standard than the plumb line of God. This required some adjusting, and he offered the solution: “Repent, for the Kingdom of Heaven is here!” He came as a witness that the Light of the World was among us and we needed to prepare ourselves for Him. There was a baptism ~ an immersion ~ into a repentance or turning of the whole direction of our focus toward God that brought a remission or complete removal of our sins, a wonderful cleansing from all the guilt and shame and punishment, and a full restoration into the glorious freedom of the children of God. Wow! Immediately as He came up through the surface of the moving water the Heavens were ripped open and The Voice boomed out from an unseen source: “You are My beloved Son; in You I am well pleased.” And the Holy Spirit of God came upon Him in a form all could see: a dove who stayed on this One, the son of man who was being revealed as the Son of God. And immediately the Spirit drove Him into the wilderness… That word keeps showing up in the Gospel of Mark ~ 12 times in the first chapter alone. Curiously, it’s the same word used for “straight” in John’s charge to the people to make a direct route for the coming of the One. It’s the immediately of God, when we align with Heaven and the favor of God blows open the skies and His Glory fires down on us and seals us as His own, a child of Heaven and Son or Daughter of the Living God. Immediately in the Greek manuscripts is εὐθέως (eutheōs), which means immediately, directly, straightway, and is used nine times in the first chapter of Mark. Three more times in the same chapter its root word, εὐθύς (euthys) is used to also mean immediately and straightway, but also a straight way, one that is plumb or level, right, and also straight forward, upright, true, sincere. When we stand under that same Open Heaven as true sons and daughters, in Christ as He is in us, all our sins and failures cleansed by Him, aligned with the Father’s pure purpose, accepted, embraced, affirmed, we find ourselves loved with the same love with which the Father loves Jesus His Son. And then the Holy Spirit, the Spirit of the Living God, the Spirit of Holiness and Power, comes upon us and we are IN the Son and aligned in the plumb line of God; then unlimited LIFE flows from the Father in an Open Heaven to the Son standing on a ready and receptive earth. This is the immediately of God. This is the alignment that brings all the abundance of the Heavenly Kingdom into all the realms of this world. This is what God has accomplished for us. The people entered into the waters of a baptism of repentance for the remission of sins to get in line with a straight, level, plumb, right and true path for the Way of the Lord to come from Heaven to earth. It was drama, a prophetic act choreographed by John, the last of the Old Covenant prophets. It pointed to our immersion into the death, burial, and resurrection of Jesus Christ, as the Apostle Paul tells us in Romans chapter six. Even in the prophetic act there is power to enter into the immediately of God, that miraculous realm outside of time where the NOW of God brought complete cleansing even before the chronological death and resurrection of Jesus. How do You DO THAT, God?